In maintenance of industrial high pressure steam boilers panel wall cold cutting is an important step before weld preparations. 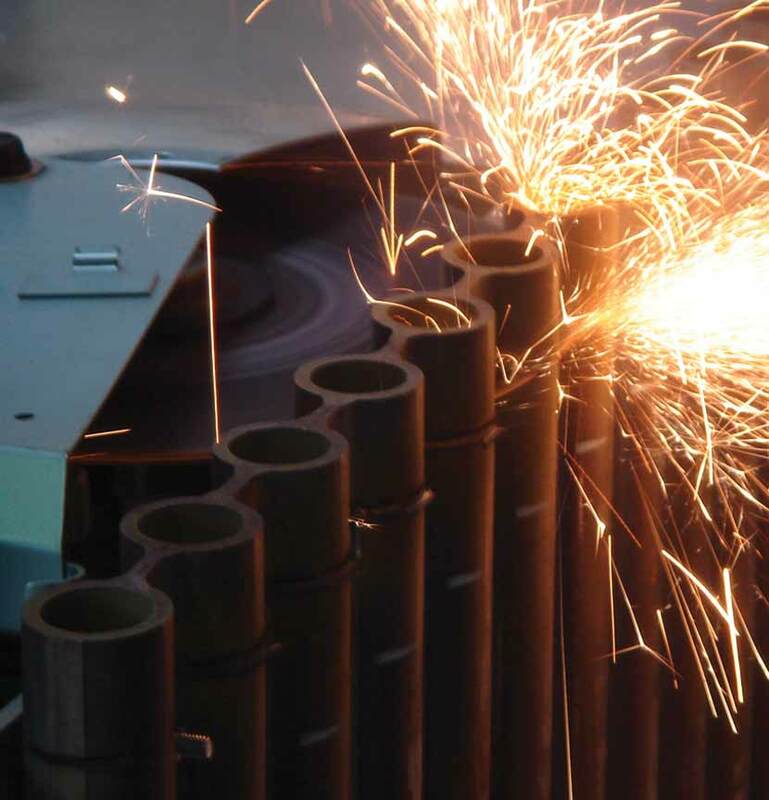 To avoid any heat affected zone (HAZ) on the boiler tubes of the water wall panels, the sawing of the defective panel wall tubes should be done not by flame cutting but instead with the BWC cutting system, that uses abrasive saws. The system increases safety of workers and works with high productivity. Due to the straight cut you will have less wearing of cutting discs and caused by the high cutting quality you have less after work, after removing boiler tube failures. The boiler tube panel cutter has been developed for repair and weld preparation of boiler tube panels in high pressure boilers and supercritical boilers. Having a low weight the unit is of very rugged design. Operated by one man only, it is well suited for use in the workshop and on site. Due to its extremely compact type of construction it can be readily used in confined space. Its high working speed and quick readiness alows economical manufacturing by removing membrane and cutting pendant tube in one operation.